As a company that is committed to serving responsibly, Dunkin’ Donuts is pleased to announce today that it will begin switching to cage-free eggs in its breakfast sandwiches nationwide and will eliminate cages for breeding pigs known as “gestation crates” from its pork supply chain. These actions were applauded by The Humane Society of the United States. As a first step, the company will transition five percent of its eggs to cage-free by the end of 2013. Additionally, in order to determine a timeline for eliminating gestation crates, the company will require its U.S. pork suppliers to outline their plans to achieve this goal. So, why is this important? Dunkin’ Donuts views its commitment to the humane treatment of animals as highly important, just as it is for the people and the communities that it serves. This step is an important part of the progress Dunkin’ Donuts is making toward sustainability in a range of areas, from the ingredients we source to the energy and materials we use. To provide Dunkin’ Donuts fans with more insight into the company’s relationship with the Humane Society of the United States (HSUS), I recently interviewed Josh Balk, the Humane Society of the United States’ director of corporate policy. 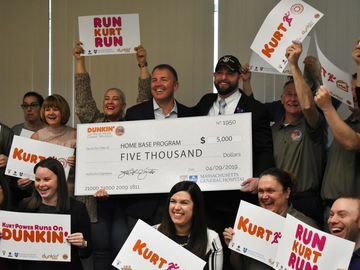 Dunkin’ Brands, Inc., the parent company of Dunkin’ Donuts and Baskin-Robbins, has been working with the Humane Society of the United States (HSUS) for over one year, and I think DD fans will be interested in learning more about how we work together. Christine: For our guests who may not be familiar with your organization, tell us about the Humane Society of the United States (HSUS). Josh: The Humane Society of the United States is the nation’s largest animal protection organization. We work to create meaningful change for animals by advocating for sensible public policies, investigating cruelty, working to enforce existing laws, raising awareness about animal welfare issues, working with companies to create animal-friendlier policies, and conducting hands-on direct animal-care programs that create a more humane world. We’re a leading disaster relief agency for animals, and we provide direct care for thousands of animals at our sanctuaries, rescue facilities, wildlife rehabilitation centers, and mobile veterinary clinics. Christine: Dunkin’ Donuts just announced that by December 2013, five percent of its egg volume used in our breakfast sandwiches nationwide each year will be sourced from cage-free hens. 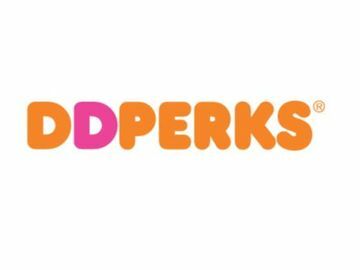 Dunkin’ Donuts will also require its U.S. pork suppliers to outline their plans to phase out the use of sow gestation stalls. Can you paint a picture of how our policy changes will help animals? Josh: These are both important policies that Dunkin’ Brands is implementing. Cage-free egg production is a significant improvement over conventional battery cages because these hens are allowed to walk around, perch, scratch, and lay eggs in a nesting area. The same goes for using pork produced from breeding pigs kept in group housing. Rather than being prevented from moving their entire life, these pigs are able to move around and are thus able to engage in more of their normal behaviors. Christine: We’ve felt for a long time that our customers care about the humane treatment of animals. 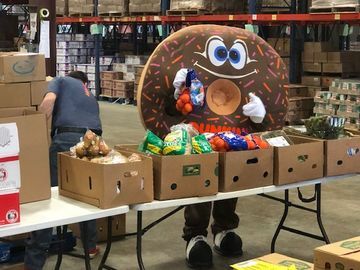 As well, many of us at Dunkin’ Brands have pets and our love for our animals at home has helped shape our corporate values when it comes to creating a more humane supply chain. Do you believe the issue of animal welfare will to continue to resonate with consumers? Josh: Our country is a nation of animal lovers. So many of us are like you and others at Dunkin’ Brands who have pets at home. Through them, we understand that animals have complex emotional lives. They feel happiness and joy, as well as fear and suffering. We have to ask ourselves, if we wouldn’t confine our dog in a cage so small she can’t turn around for her entire life, why would we treat any animal that way? Virtually all Americans agree that that all animals, including farm animals, deserve protection from abuse. By embracing this shared value and implementing it in our lives, we can help move toward the more humane world we all strive to create. For more information about Dunkin’ Brands’ approach to Corporate Social Responsibility, please review our CSR Report, Serving Responsibly. For more information on The Humane Society of the United States (HSUS), please visit their website.